In March, 2015 Living Archives went to Rochester, and Rochester Institute of Technology (RIT) for a research visit hosted by Ann Howard and Jane Amstey, research staff at RIT’s University/Community Partnerships. Besides developing our collaboration, the aim was to learn more about recent urban development processes of Rochester and the work conducted by researchers and students at RIT. As part of the Urban Archiving research activities in Living Archives we organised an Eat a Memory event during our visit. The intervention was done in collaboration with the MarketView Heights Collective Action Project and RIT’s University/Community Partnerships. In brief, Eat a Memory* is a series of activities exploring food and meals as performed memories, and cooking as preserving family and community history. The residents in MarketView Heights were invited to bring a dish from their childhood memories to share with others. Fourteen people came to the event to share their family backgrounds and childhood stories. The residents observed that the food and stories about food revealed the broad diversity among the residents of the MarketView Heights neighbourhood. Sharing a meal had always been part of the monthly meetings of the Collective Action Project, and following the Eat a Memory event residents were inspired to continue to share dishes at their meetings that were reflective of their family heritage. Residents decided that it would be important to share what they knew about the diversity of their neighbourhood with a broader audience and that the food memories would be a good way to do this. From these discussions the project “Food: A Celebration of Diversity” was born. Among other things the project has resulted in a photo exhibition by RIT’s photojournalism student Audrey Horn conducted in collaboration with residents from MarketView Heights. Video 1. Media reporting about the project “Food: A Celebration of Diversity”. – Urban Archiving and Eat a Memory, contact Elisabet M. Nilsson, or Veronica Wiman. *Eat a Memory is an urban archiving practice and research intervention where eatables from urban gardens are part of exploring food and meals as performed memories and cooking as archiving practice. 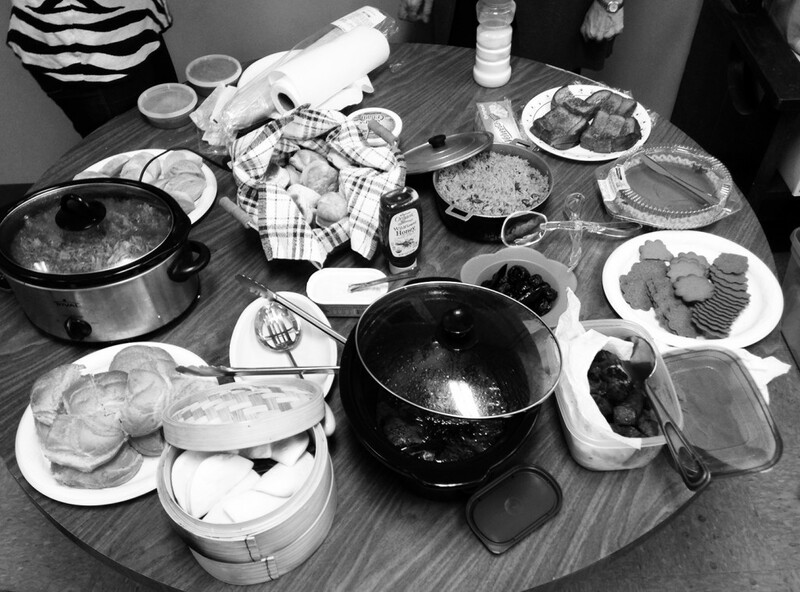 A joint meal in the form of a potluck is applied as a platform for generating intangible urban data on communities and urban areas. Through the act of cooking and eating, memories are collected, stored and shared in various formats, such as recipes, a taste, a smell and visual representations The practical implementation is that community members and other agents, for example, urban developers, gather for a meal to which everybody brings a dish from their childhood memories. At the gatherings, the participants perform their memories; that is, they prepare their dishes and serve them along with the background stories. The sharing of memories and cultural heritage are re-enacted through more than one sense; for example, the taste and smell of a specific moment in history are shared.